Björn Kurtén's compelling novel gives the reader a detailed picture of life 35,000 years ago in Western Europe. 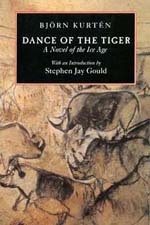 One of the world's leading scholars of Ice Age fauna, Kurtén fuses extraordinary knowledge and imagination in this vivid evocation of our deepest past. This novel illuminates the lives of the humans who left us magnificent paintings in the caves of France and Spain.